People who are born on 7,16,25 of any month are said to be of number 7.let's talk about the financial status of these people. Monetary ups and downs are prevalent. Let's see more on their finances. At times they may have to face financial problems because their attitude and their pretense of being someone else who they are not. It's seen that they have the urge to have even more after earning. They earn through their weird ideas. They keep on facing ups and downs in life this is the reason why they take care of money and spend carefully with minimal waste. They could earn well with their creative ideas but if they are facing problems in business or professionally then they should try changing their attitude. 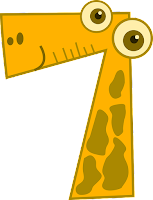 Number 7 ladies are constantly worry about money and business.